The Majestic Cinema opened on 7th April 1939(Good Friday). It had seating for 792 in stalls and circle levels and the proscenium was 40 feet wide. Initially operated by an independent operator, it was later taken over by the Curran Theatres chain. Taken over by the Rank Organisation in the 1950’s, they closed it in 1970. 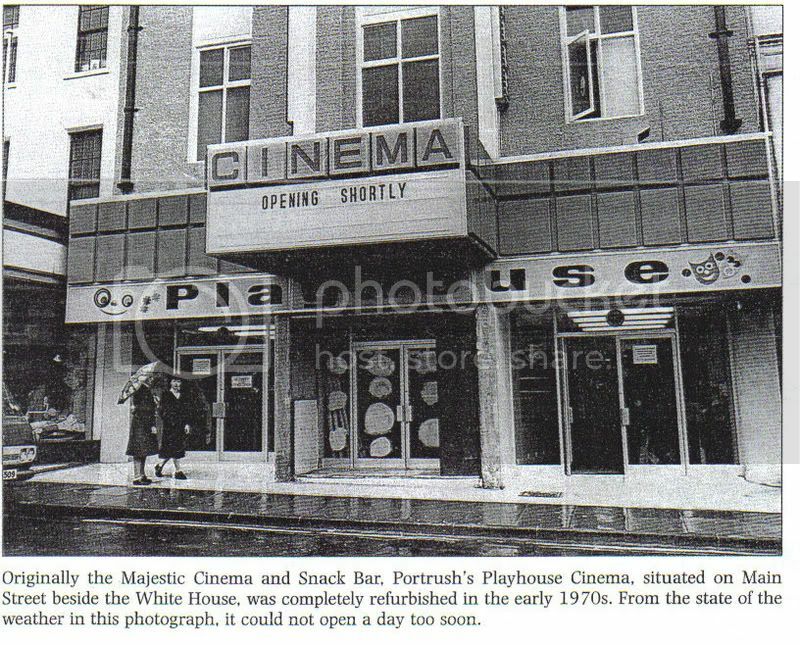 The building lay unused for several years, then in 1977, it was re-opened as the Playhouse Cinema by an independent operator. The seating capacity was reduced to 360, using the former circle only, with the former stalls in use as an amusement arcade. It had closed again by 1980. The Playhouse Cinema re-opened in 1993, and in the Summer of 1997 a second 50-seat screen was created in the former rear stalls area, the the former circle screen now seated 315. It was closed in 2006, but was re-opened by the Movie House Cinemas chain at Easter 2007. However, by May 2008 it appears to have closed again. In early December 2008, plans were proposed to revamp the building into a combined bar, cinema and theatre. i hope movie house have'nt taken over the playhouse.sadly it will be ‘modernised’ just like the rest of it’s fleet of souless cinema’s.this chain has no real interest in cinema,just raking the cash in sadly.